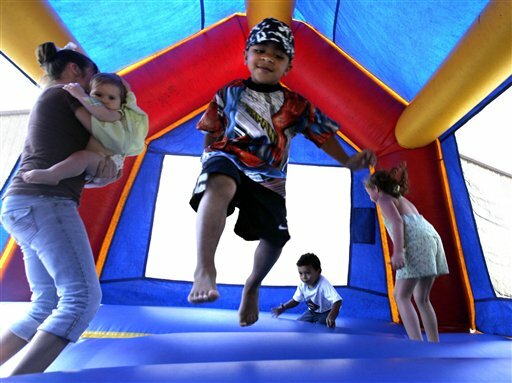 A nationwide study suggests that 30 U.S. children a day are treated in emergency rooms for broken bones, sprains and concussions from bounce house accidents. CHICAGO — They may be a big hit at kids’ birthday parties, but inflatable bounce houses can be dangerous, with the number of injuries soaring in recent years, a nationwide study found. The number of children aged 17 and younger who got emergency-room treatment for bounce house injuries has climbed along with the popularity of bounce houses — from fewer than 1,000 in 1995 to nearly 11,000 in 2010. That’s a 15-fold increase, and a doubling just since 2008.